Open plans have averaged growth applied to funeral plans of 3.3% per annum since we started in 2003. This delivers an excellent rate of return over the average lifetime of a plan and is applied to the whole plan, both funeral director services and third-party costs. You’ll receives an agreed plan price plus all applied growth at the time of need. You’ll have access to our secure login area 24 hours a day to see your plans, their redemption values and plan documentation which is available for download. 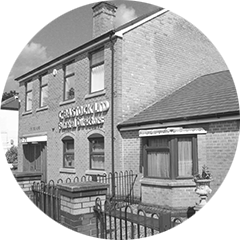 Open Prepaid Funerals is co-owned by David Bastock of C. Bastock Funeral Directors, a family firm since 1856 – we understand and care passionately about independent funeral directors. Growth is applied to both FD costs and Third-Party costs – Open are the only plan provider to do this. Other providers are only applying RPI or CPI to third-party costs and often the same to the FD costs too. You don’t have to exclusively use Open Prepaid Funerals Limited. Prompt settlement of funds by BACS transfer. All brochures, application forms and reply-paid envelopes are provided. Open Prepaid Funerals Limited are an FPA Registered Plan Provider. One single admin fee of £195.00. 100% of the plan price is invested into the Open Prepaid Funerals Trust Fund and grows from that figure onwards. There are many benefits for you as a funeral director in both selling and accepting Open Prepaid Funeral Plans. 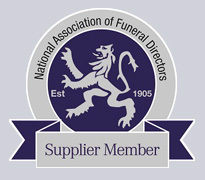 Not least is the fact that, because of our background and our commitment to the funeral industry, we genuinely put clients and funeral directors first and as a result we deliver on our promises. Not all funeral plan providers are the same. In a business sector that is becoming ever more aggressive in its sales tactics, fees and commissions you need to be more cautious than ever before about who you work with and whose plans you offer. Since our launch in 2003 we have kept things simple and done exactly what we said we would do, acted in the interests of independent funeral directors and in doing so protected thousands of families all over the country. As a funeral director in an ever more competitive marketplace it’s of paramount importance that you protect the future of your business. You may not have had a real awareness of Open Prepaid Funerals but we have been operating quietly and very successfully since 2003. If you would like to learn more and arrange a no obligation chat or meeting with me personally then please get in touch, just email us here or call us directly, we’re Open by name, open by nature.